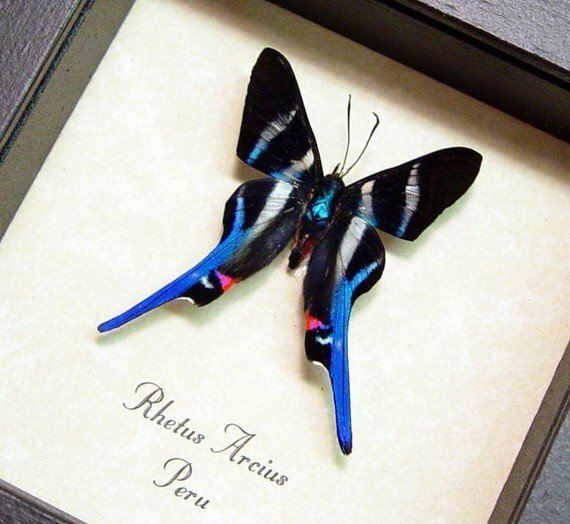 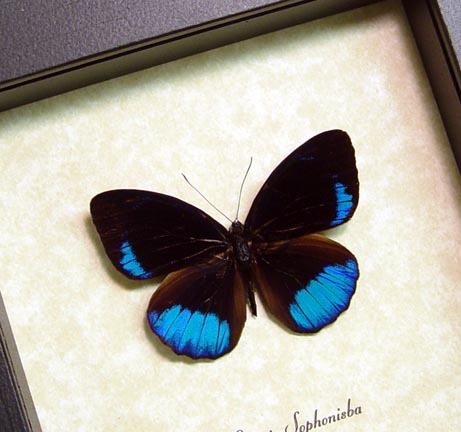 Description: Charles Darwin noted that of all the species of butterflies that the female of this richly colored butterfly is surprisingly similar to the male. 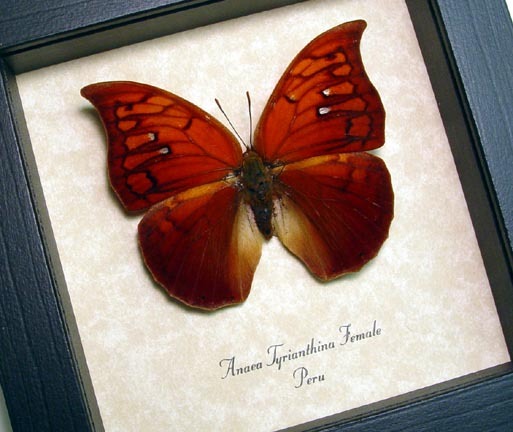 Many female butterflies don’t even resemble their male counterparts. 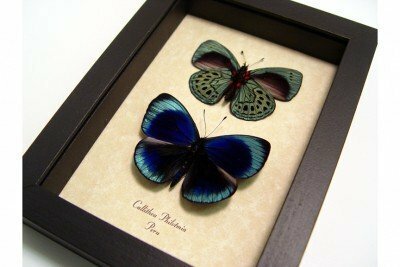 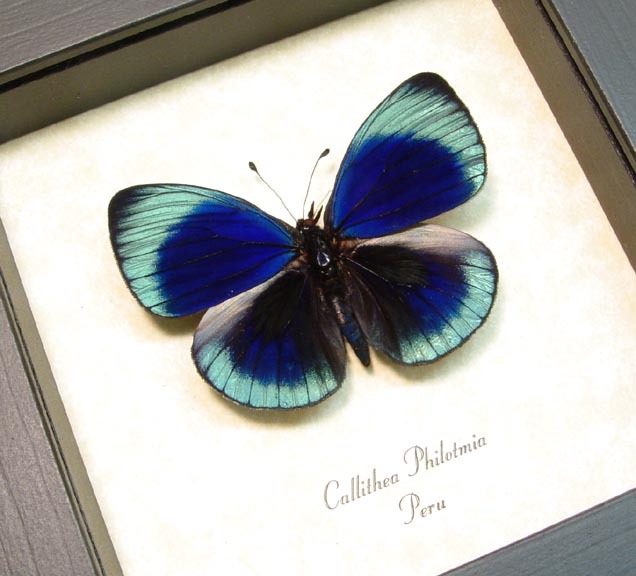 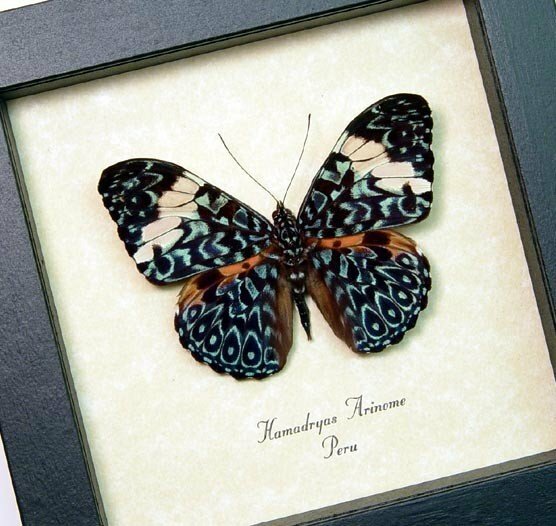 Beautiful Blue & Green Spotted Metallic Real butterfly pair mounted front and verso to show both sides of the butterfly!